The second About My Shop feature on Recycled Fashion comes from the fabulous refashioned clothing seller glam.spoon bohemian chic for women with tenacity'. About My Shop gives sellers specialising in vintage, second hand and refashioned garments, a chance to introduce themselves, their garments, and stores to Recycled Fashion blog readers. "My shop is called "glamspoon" which is a little play on my last name. 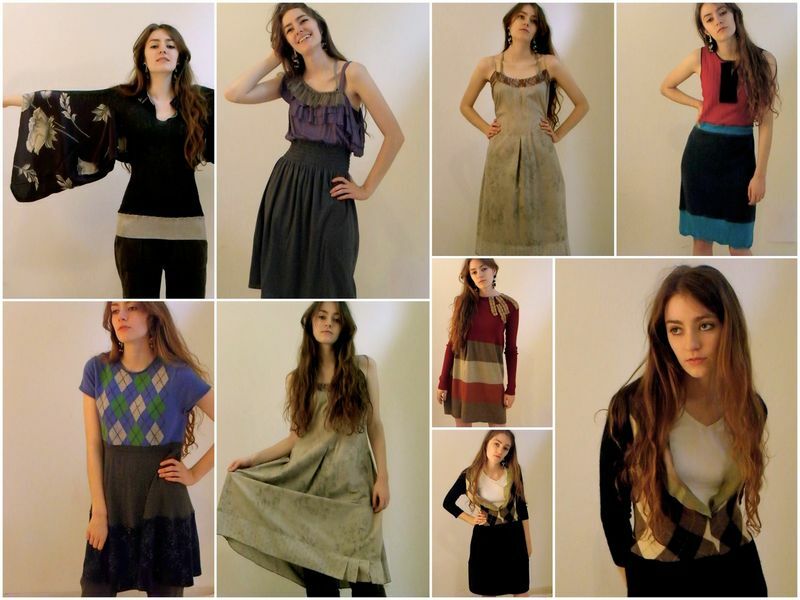 I sell handmade, refashioned, one-of-a-kind women's clothing made from primarily recycled materials." "I've been sewing and crafting for most of my life, but back in 2005 I started refashioning items from my wardrobe that didn't work. It struck a chord and soon I was seeing possibilities in thrift store items, hand me downs and cast offs. The concept was forming for a business focused on taking the best parts of an existing item and reworking the rest." "I started selling with a friend at a craft sale, and then I found Urban Craft Uprising and my business really took off. My second year in business I was selling through local boutiques and in August of 2006 I opened my Etsy Shop." "I'm known for my skirts - they're kind of an obsession of mine. 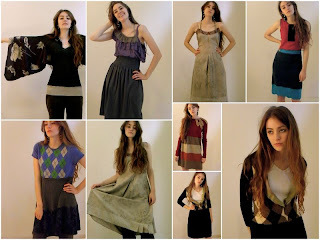 but when I started refashioning cashmere sweaters into dresses, that became another popular item. cashmere is soft and luxurious, and a sweater dress just feels so comfortable it's like wearing fancy pajamas. :)"
What is the future of Glamspoon? "In November, 2010 I launched a home division using recycled textiles to make patchwork cashmere throws and hand dyed ruffled linen pillow covers. 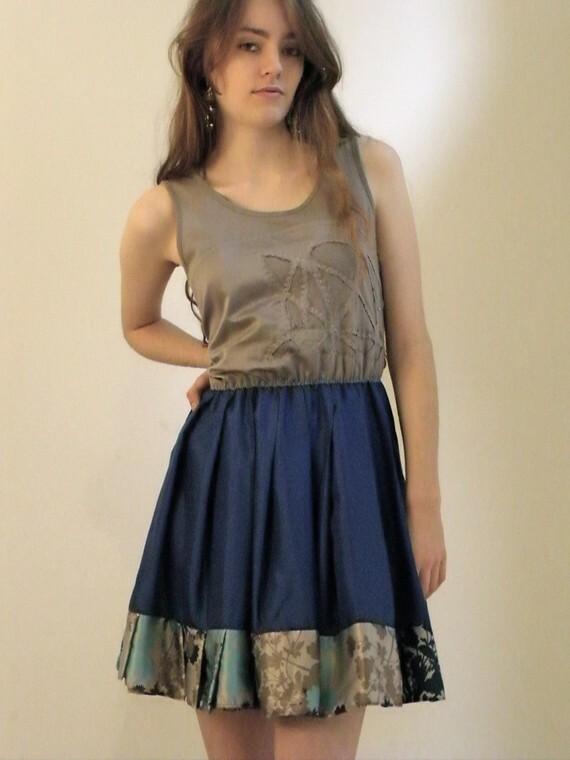 In the spring I will launch my first limited edition collection of fully designed handmade skirts and dresses." "Just online for the time being... but someday I'll have a little brick and mortar space!" Tina is currently offering a huge 40% discount from her Etsy Store until the end of the month! Click here for coupon code details. Are you a thrift store manager, op-shop volunteer, charity shop staff member, fashion retail website owner, pre-loved market or clothing swap event organiser, or perhaps an online marketplace seller featuring upcycled, vintage, recycled, refashioned clothing or accessories? If so, I'd love to hear from you!